have the solution for you. We are proud to be offering Volbella at our McAllen, TX office. Volbella is the latest FDA-approved injectable filler added to the Juvéderm family of dermal fillers. This non-surgical lip augmentation treatment is designed to plump the lips and minimize the appearance of fine lines around the mouth, also known as perioral rhytids or perioral lines. Perioral lines were previously difficult to treat, so we are excited about this new treatment option for our patients. Volbella is an injectable dermal filler used to define lips and for the correction of fine wrinkles around the lips. This temporary filler is made of Hyaluronic Acid naturally found in skin and does not require a skin test before your treatment. The difference is the Vycross technology which creates smaller particle sizes. This means that the smaller particle size in Volbella allows your cosmetic injector to treat fine lines without getting an “overly-full” look in these delicate areas. Volbella is the perfect product to choose for small fine lines and subtle enhancement of the lips without the worry that your lips will get bulky or too puffy. There is a trend these days to have overfilled lips. Beautique Medical Spa prides themselves on making sure your lips look natural and proportionate to you facial structure. We know Volbella is one of the best choices on the market for lip augmentation. Volbella has been proven to soften and fill lines in a majority of patients lasting for up to one year. Since Volbella is also formulated with hyaluronic acid, the skin will retain moisture and softness ensuring long-lasting results. This data from Allergan includes a one month touch up so that optimal correction is achieved. Both Volbella and Voluma products use Vycross technology which is a proprietary filler technology from Allergan,. Vycross technology creates a higher percentage of low-molecular-weight compared to other filler formulas. This creates smaller particle sizes which yields smooth dermal filler products that have been engineered to address specific patient concerns. The most common side effects of Volbella are swelling, bruising, tenderness, redness, pain, and the possibility of discomfort and itching. These common side effects are temporary responses that can occur at the treatment site. When you call to book your appointment at Beautique, please feel free to talk to us about how to avoid any bruising or swelling when having your injections. Recovery with Volbella is minimal allowing you to return to your usual activities after the procedure. Within the first 24 hours after your treatment, it is best to not do extreme exercise and to limit sun exposure. At Beautique Medical Spa in McAllen TX, when treating fine lines, we use the smallest needle possible for your injections. This allows for a more comfortable injection experience. Please ask our staff about arriving early for numbing cream or you can also hold ice to the area to numb if you prefer. Volbella is unique because it is the first lip augmentation filler that is FDA approved to address perioral lines, or smoker lines around the mouth. Volbella is now the solution for patients who are particularly concerned about the appearance of perioral lines. Just like Voluma, Volbella boasts the filler technology by Allergan called Vycross®. This lip filler contains hyaluronic acid allowing for the subtle addition of volume, along with the natural feel and appearance of the lips. These products, while all made of Hylauronic acid, each have their own unique properties. Each product is approved for specific areas of the face based on their thickness and particle size. Talk to your practitioner about which Juvederm product is the best to address your specific concerns. 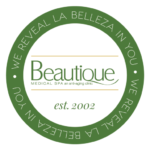 Contact Beautique Medical Spa in McAllen, TX today to learn more about Volbella and to schedule your consultation! During your consultation, one of our experienced service providers will address your concerns and what you hope to achieve in order to help decide if Volbella is right for you. Book your complimentary face assessments and injection consultations when you contact our office today.